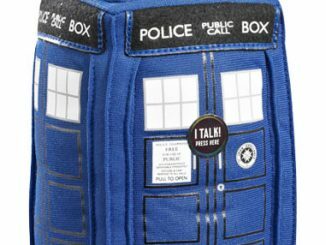 Let a Time Lord help charge your smartphone with the Doctor Who TARDIS iPhone Stand, because not only does it make a handy stand for your phone, it looks good even when it’s doing nothing at all. 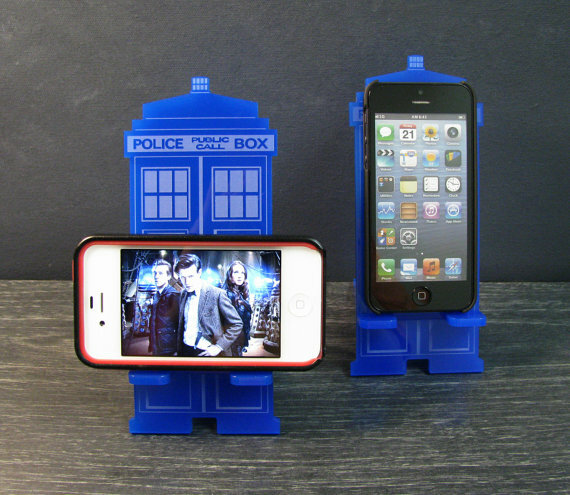 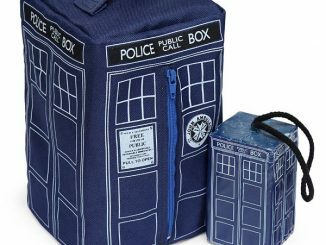 We Whovians love our Doctor Who goodies and this iPhone stand should be no exception. 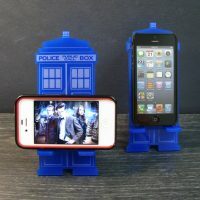 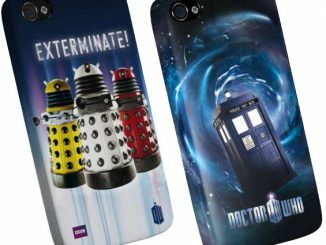 In addition to looking like the TARDIS, the laser-etched, blue acrylic stand also holds your iPhone in either a vertical or horizontal position, with a notch cut into the base for the charging cable. 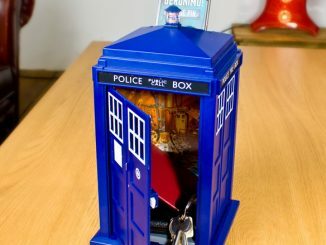 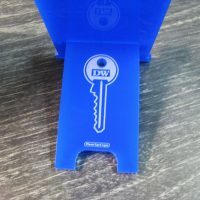 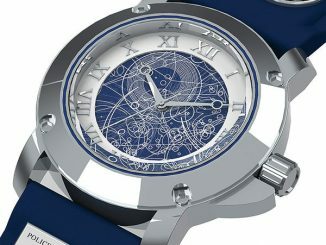 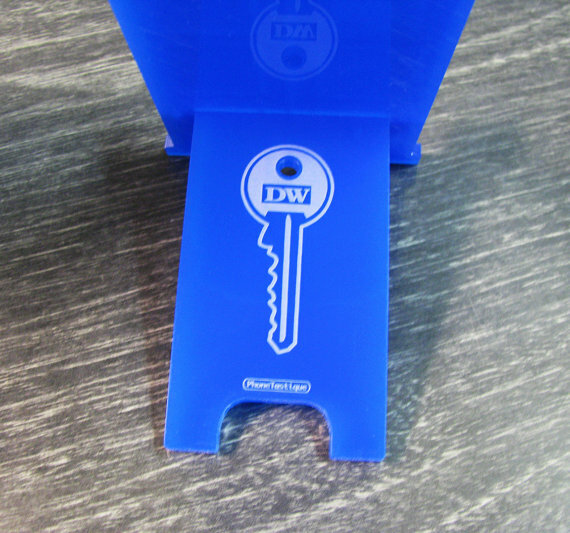 The back of the stand even features a picture of the key to the TARDIS. 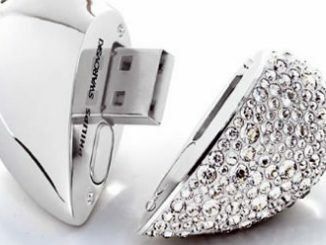 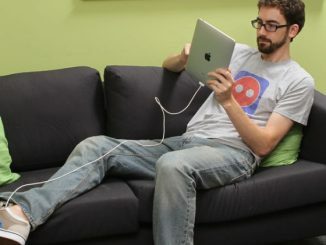 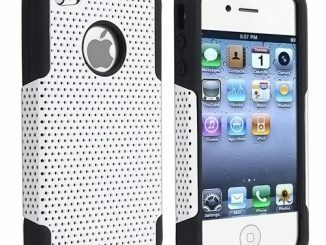 Unfortunately, the stand is only designed to work with the iPhone 4, 4S, 5, and 5S. 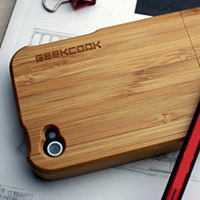 For those who have a different type of iPhone, I’m sorry. 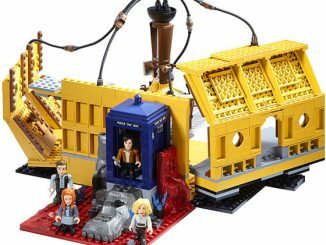 I’m so, so sorry. 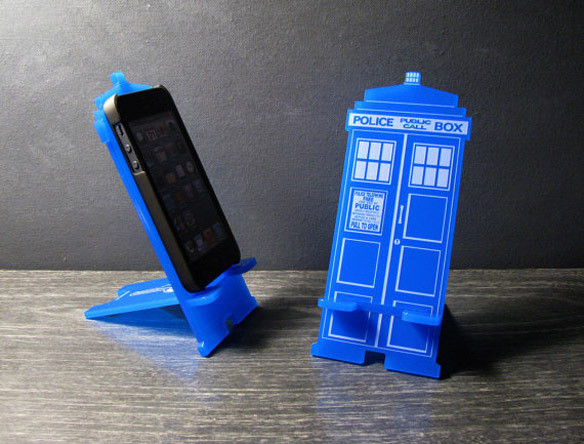 The Doctor Who TARDIS iPhone Stand is available for $24 at PhoneTastique’s Etsy store.